We were honoured to be the first club in District 1230 to welcome the new District Governor and his assistant to our club. 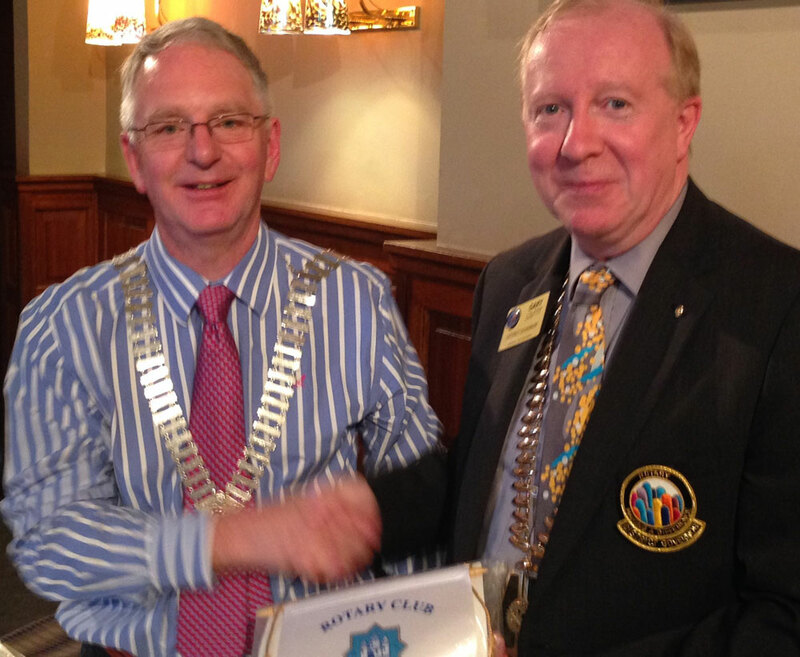 Gary Louttit of Renfrew Rotary Club, and recently elected DG, delivered a thought-provoking and entertaining address to our assembled members. Gary confided to us that he regards District “Governor” as something of an unfortunate title, preferring to regard his role more as a “Facilitator”. 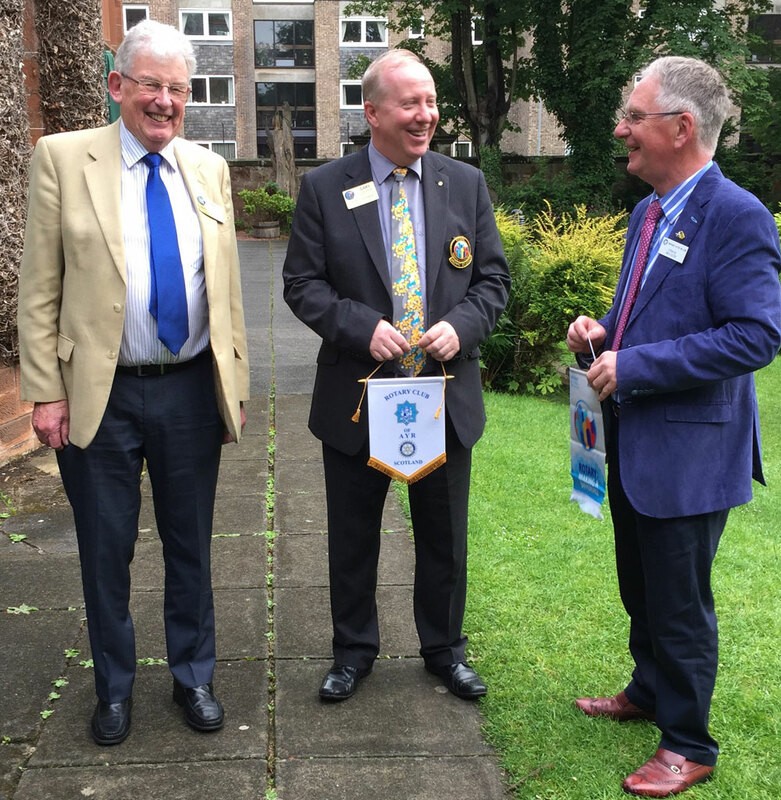 He explained his enthusiasm for, and pride in, Rotary but also admitted to his earlier scepticism for the way District affairs were sometimes managed. He sees one of his main challenges over the coming year as attempting to eliminate this commonly held scepticism and he was thankful that Rotary’s theme for this year, “Making a Difference”, was one that he could easily identify with and endeavour to target. Gary advocated the use of Rotary Club Central, an online tool to help clubs set and track their goals and achievements. He also emphasised the importance of Interact and Rotaract in achieving future membership benefits by nurturing today’s youth. The current membership situation in District 1230 exemplifies why this kind of initiative is paramount. The District is only 75 members away from losing district status and this equates to only 1.5 members per club. Clearly, our own club is assisting admirably in keeping this particular ship afloat, being the largest (and still-growing) club in the District. Gary is extremely keen to encourage club members’ involvement in District affairs in order to build a centralised model for all clubs. He extended an invitation to all members to join in this year’s District conference which has an impressive range of speakers lined up including Ruth Davidson MSP wearing her charity hat rather than her political one. Among the many worthwhile initiatives District are keen to promote are a District food distribution project and a new environmental scheme to plant a tree for every Rotary member, worldwide. In summing up, Gary complimented our club on its fun and good humour (with a nod towards the assistance of alcohol), which he thought were essential to a club’s attractiveness to new members.